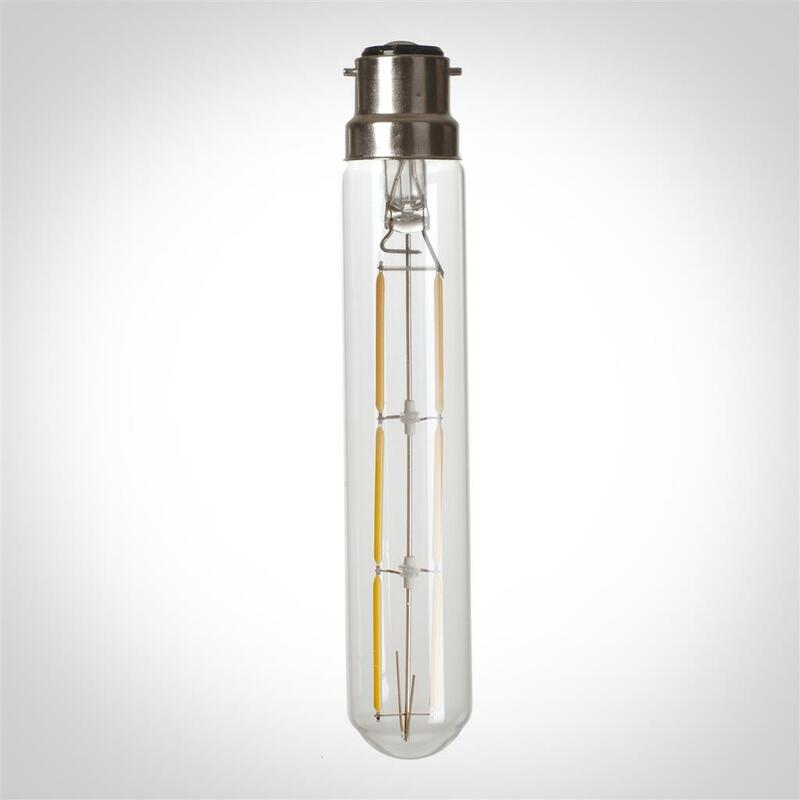 Designed to replicate the traditional look of an incandescent bulb, our LED Tube Bulb is as pretty as it is practical. With its attractive clear glass and visible filament, it will flood your room with a soft warm light with the added benefits of low energy LED technology. This bulb has a standard bayonet fitting (BC, B22), lights up to full strength instantly, is dimmable and has a lumens (brightness) that is equivalent to a 40W regular bulb. LED bulbs are incredibly energy efficient, only using a fraction of the energy of a regular bulb and lasting, on average, around 15-20,000 hours of use. Colour: Warm white (2,200 kelvin).